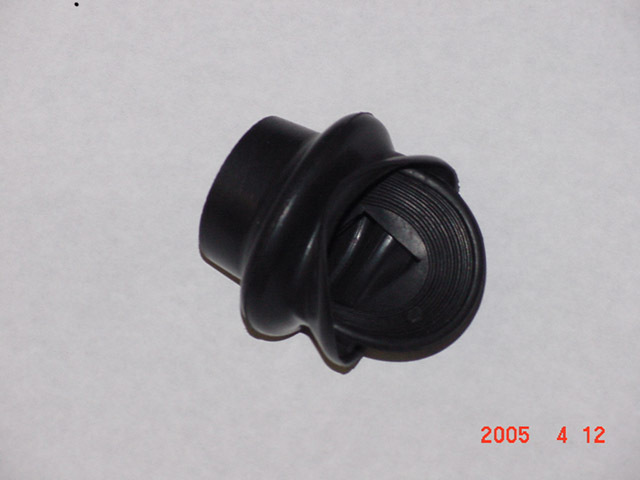 anyone know if there's an eyecup made for the FZ, or if one for another brand is easily adapted to fit? better still, a link to a seller on ebay or some such? Some time back, someone said that the a certain model of Canon round eye-cup fit the FZ but i don't remember the details. Perhaps someonehere can help. I sure would love to get one too. I find it very hard to see on bright sunny days. 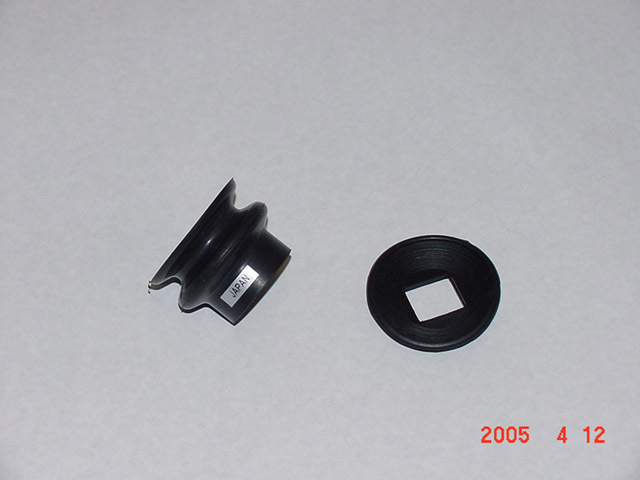 You can slip the cannon eye cup into this eyecup, and with a little trimming of it so it is flush withthe back of the cannon eyecup, it will slip on and give an excellent bellows eye cup with plenty of shade for the EVF. I will take pictures and post what it looks like tomorrow. thanks, folks! i appreciate the fast response! 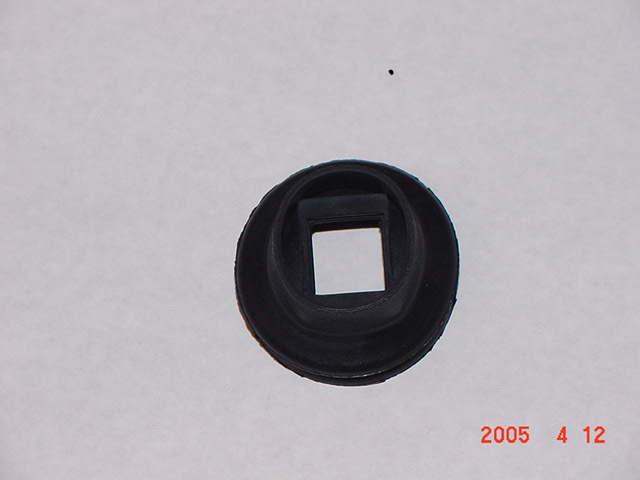 :Gdoes the Canon eyecup need any modification to fit the FZ20? No changes needed but you do need to stretch it a bit to get it to fit, although this means that it doesnt come off very easily. Its a great eye cup and I now use the EVF a lot more with it on. Here are the pictures I promised. Eye cups separate. 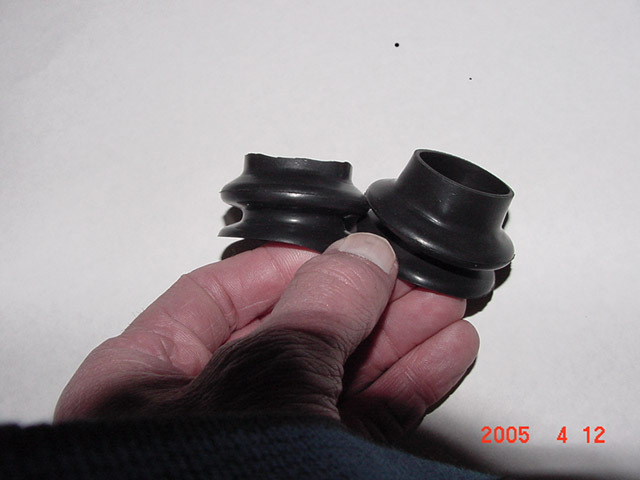 Inserting the Canon eyecup into the bellows eyecup. The Canon eyecup should fit in the rear bellows. Canon eyecup fully inserted into the bellows eyecup. Trim bellows eyecup flush to the back side of the Canon eyecup as shown on the left.